This elegant saree has perfect modern and ethnic blend. The body of the saree has attractive Navy Blue colour. 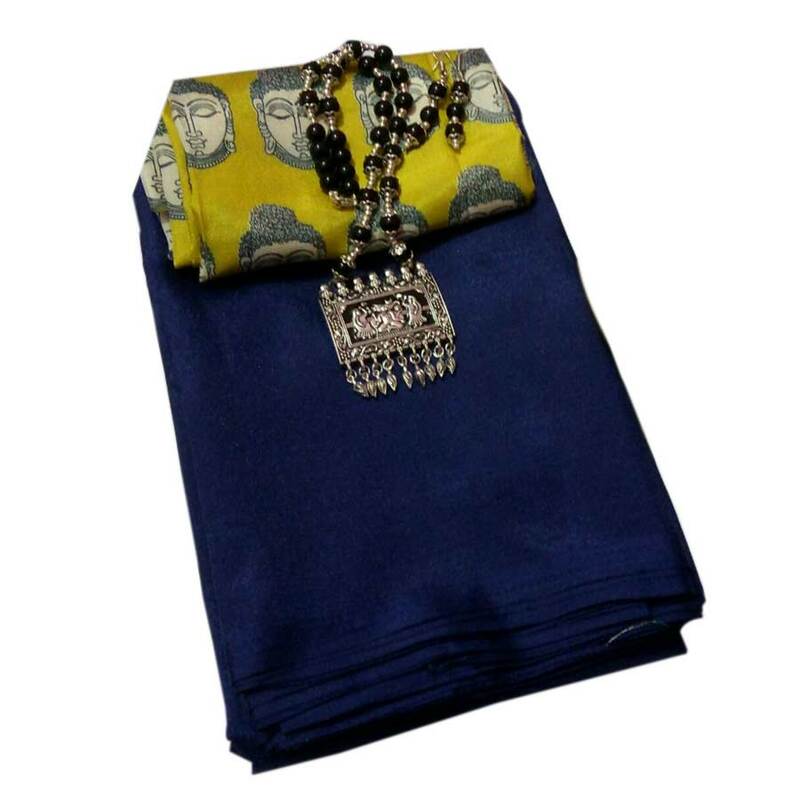 Soft Silk material of this saree is delivers smooth,shiny and elegant look.This beautiful saree comes with Budha Printed Mustard colour blouse piece. Ideal as festive, party, wedding.